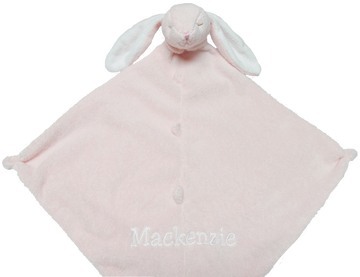 The Angel Dear™ Pink Bunny blankie is made of a soft pink velour plush fabric. It has long, floppy ears lined with white. The face details are all embroidered medium pink. 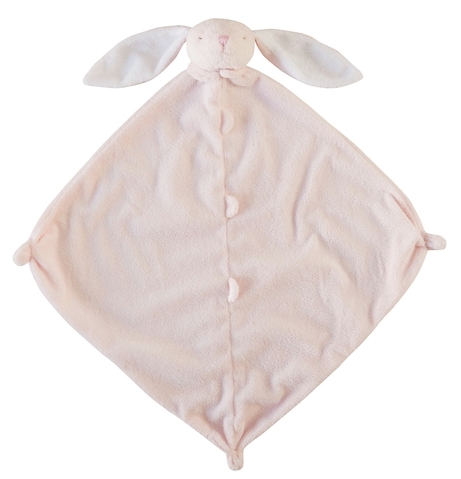 The animal head is stuffed with 100% polyester fiberfill. . The blankie measures 14" x 14" . 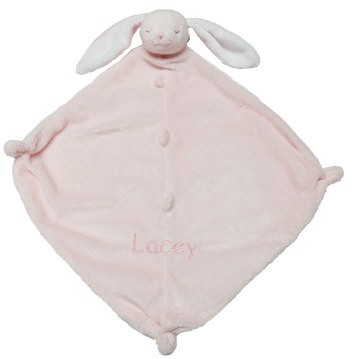 It is machine washable and dryable.